Sketchfab Community Blog - Sketchfab Offline has Arrived! You’ve asked for it, we’ve delivered. Now you can share your work wherever you are – even without an internet connection! But now that you mentioned it… I’m actually thinking of it, and asking for the real thing! Funny. I know someone making an offline model viewer. That thing looks cool! Totally down for that! YESSS!!! well done! a long waited feature. I was hoping to be true. Nice one! Cheers! Really? That’s great! 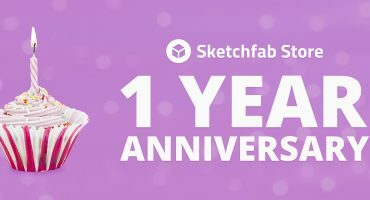 Thanks, Sketchfab!